This is one post I thought I’d never publish. If you follow me socially (on Facebook or Instagram) you may have seen a sneak peek of this makeover and read about my reservations in sharing it here. 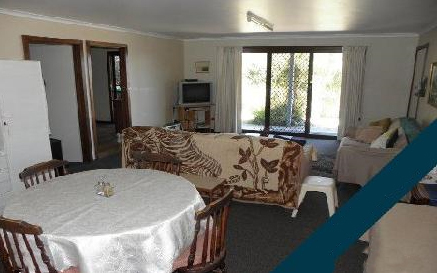 Basically, this is my gran’s house which we suddenly needed to sell after she was moved into an aged care facility a few months back. Having been on the market for several years prior with absolutely no interest, we (being mainly my parents, my aunt and myself) knew it needed to be somewhat over-hauled for sale. Though not only did we need to sell it, we needed to sell it relatively quickly, and at a certain price point (in order to avoid interest fees and cover all costs associated with the aged care facility). The problem? Well, make that problems. We had a large and incredibly dated house, a super limited budget and my gran lives an eight hour round trip away! 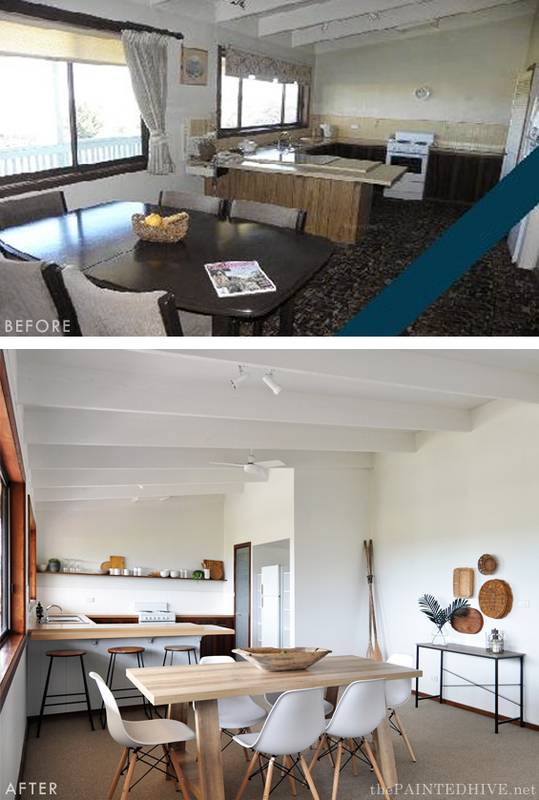 I knew from the start that the budget limitations, logistical challenges and time constraints would result in a rather “make do” renovation. Hence, it was never my intention to share it here due to some reservations about how well it would reflect my expected style and standards (blogland can be a scarily lofty and judgmental place nowadays!). Still, although it took a bit of courage, I posed the question on some of my social channels and was completely overwhelmed by the response…you wanted to see and learn more about this “real life” flip. How could I argue? Although we have specifically flipped this property for sale, many of these tactics can be used if you’re simply wanting to improve the look and feel of your current home, or may help shine light on the potential in a seemingly awful house if you’re looking to buy. Sorry about the quality of the photos and the watermarks. Because I never intended to blog about this refresh, I didn’t take proper before pics. 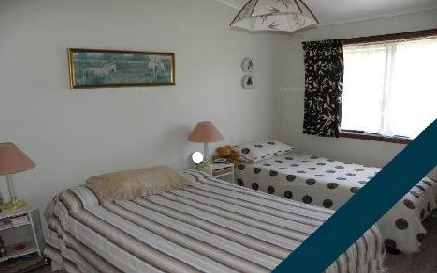 These are some images I managed to find online from when the property was originally listed a couple of years back. Nothing much had changed. This is a two story house comprising of a three bedroom, one bathroom main residence on the first floor, and a fully self-contained one bedroom, one bathroom unit on the ground floor. 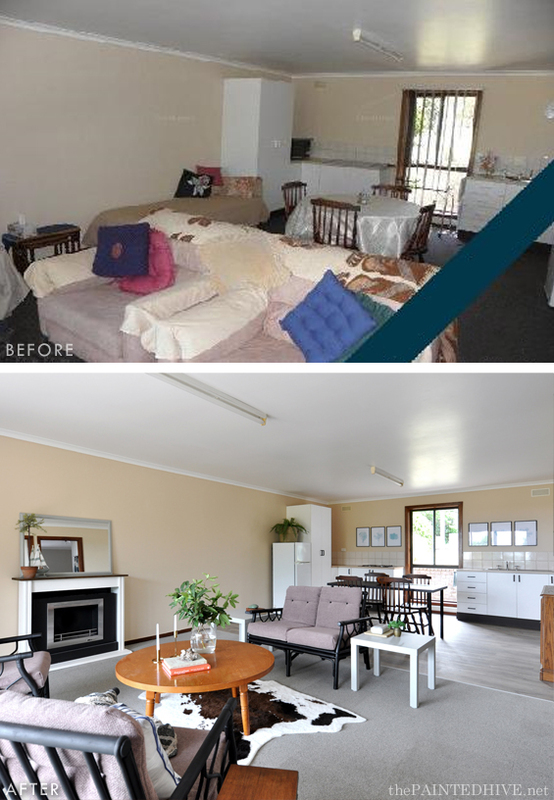 Our initial plan was simple; de-clutter, replace the floor coverings in the main living space and make the most of the existing furnishings. As things progressed the improvement was clear, though it just didn’t feel as good as it could. Any new positive changes we made only seemed to highlight all of the old negatives! 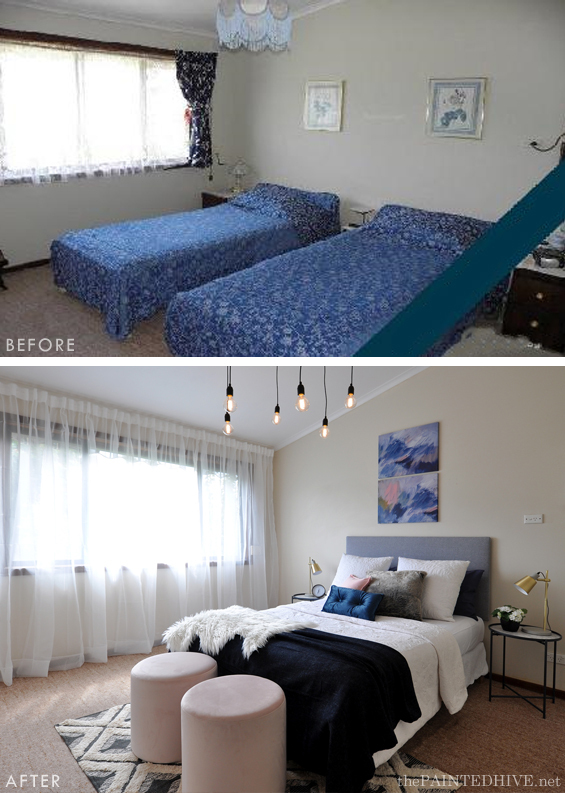 I knew that with just a tad more effort, and the addition of some thrifty staging pieces, we could give it some real zing – and, in turn, better capitalise on all of the work we were investing. As we were on a tight budget and timeline, it was important to pick our battles. A full renovation was just plain unrealistic. And rather than task ourselves with cosmetically over-hauling the entire house, we decided to make the living space our main focus. I figured if we could somewhat wow people with a nice first impression, then make the remainder of the house pleasant enough through ‘dressing’, it would create a good overall vibe and demonstrate the potential. 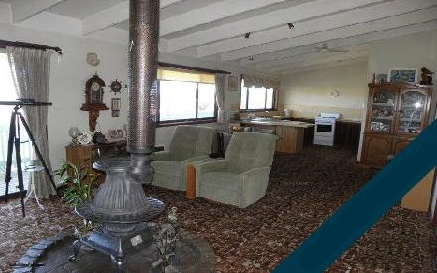 The main problem with the living space (aside from everything) was the wood burning fire. 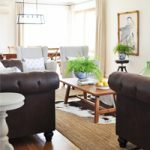 It was smack bang in the middle of the room and virtually impossible to configure furniture around – I can’t count the number of times I’ve said “why the feck did they put it there?” Removing it seemed daunting, though after some inspection we deduced it was merely sitting on a floating brick hearth. As we were replacing the flooring anyway, all we needed to do was remove the fire and hearth, trim the flue off below the roofline then patch a basic hole in the ceiling – easy! We even managed to re-purpose the fire as an outdoor heater in one of the alfresco seating areas. 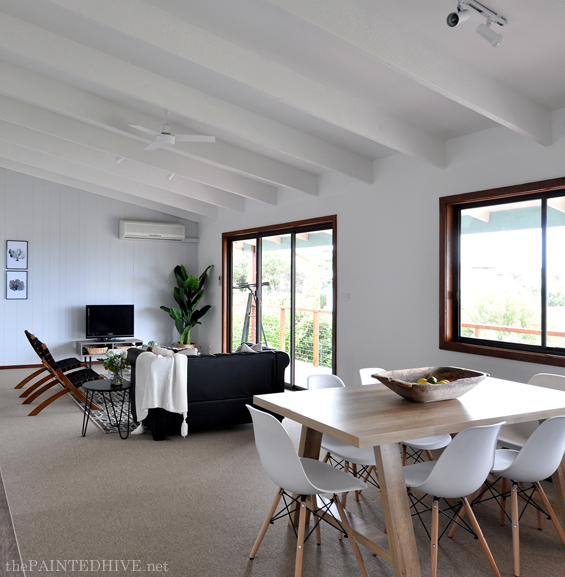 After a fresh coat of paint (Dulux “Natural White” on the walls and ceiling | Dulux “Grey Pail” quarter on the panelled wall) it felt so much crisper. We also sprayed the existing ceiling fans and track lights white to freshen them up. New carpet was a must. We went with the most affordable option we could find, though I actually really like it! In fact, it reminds me of sisal. It has a neat loop, natural tone and nice sandy fleck which seems fitting given this is a coastal property (plus it’s apparently super durable too). 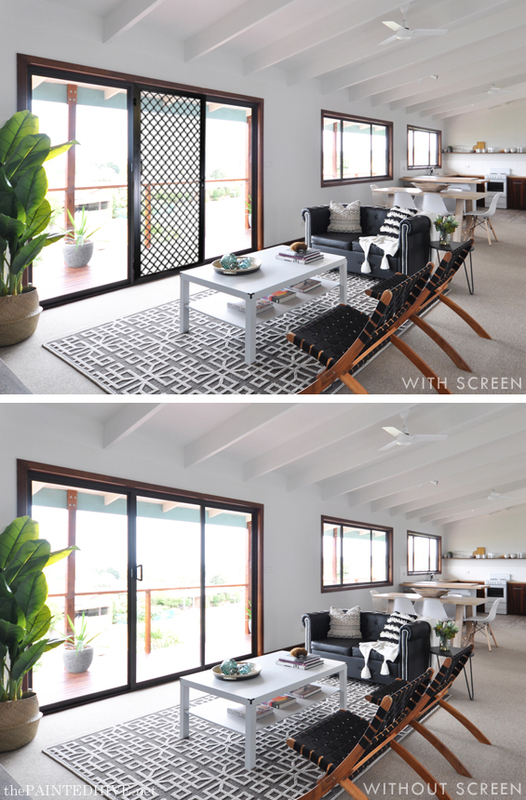 One other change which made a surprisingly big difference was removing the security screen from the sliding door. This was actually a happy accident. We took it off to repair it and noticed how much more open and modern the space suddenly felt. Not to mention the way the ocean views were instantly emphasised! We went on to remove all of the security screens (and some of the old fly screens) from the entire house. A free and simple change which made a big aesthetic difference. Note: I know what some of you are probably thinking: “But now people can break in more easily” or “That will effect the home insurance”. Maybe so, maybe not. The fact is, security screens certainly aren’t a must and many homes don’t have them. It’s something for the new owners to assess. The only other thing we did in the room was dress it with some contemporary furnishings. I had my doubts about the feasibility of this. To keep costs down, I normally source second-hand furniture, though this can be a lengthy process: you need to find the right piece at the right price in the right location, then you possibly need to refurbish it – and in this case we’re talking about staging an entire house! We just didn’t have the time for that. Thank god for Kmart! Accent chairs, side table, TV unit, console table and two of the dining chairs all came from Kmart. We also have three bar stools and four cube shelves in the kitchen area from Kmart. All up everything cost under $370. 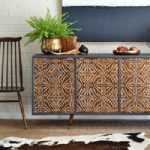 Note: For my international readers, here in Australia Kmart is the current go-to store for accessible, inexpensive and on-trend furniture and home decor. The remainder of the furniture was found on eBay. Dining table and sofa were $200 each. The set of four dining chairs was $80 and the large coffee table, which we painted blue-grey to match the panelled wall, was $30. One of the trickiest things to source was an affordable large rug (I needed something at least 2×3 meters/7×10 feet). After looking in vain for something second-hand, I eventually stumbled across a rug warehouse being advertised through Marketplace on Facebook. They only had a few options in my size and price-range, and this one wasn’t exactly what I had in mind, though for just $150 it would do. My other option was the LOHALS from IKEA, which I do like and have used before, though I opted for some pattern this time around. 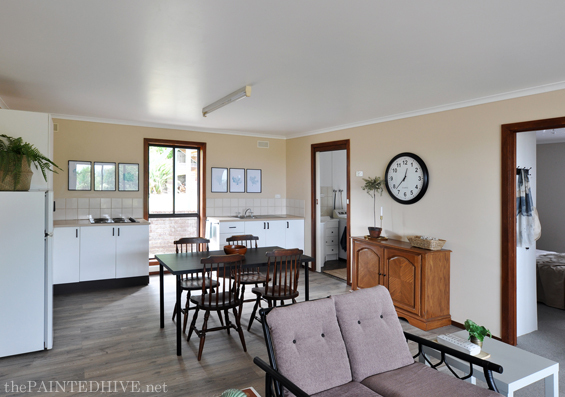 So, for just a smidge over $1,000 we had managed to furnish the entire open-plan living, dining, kitchen space. Not bad. Most of the decor is pretty incidental. Some of it we already owned, some of it we salvaged from op shops and some of it we bought from inexpensive homeware stores. I’ll spare you all the specifics given this is a looooong post, though feel free to ask about anything in particular. Although it would have been amazing to renovate the kitchen, as already mentioned, due to time and budget restraints we had to pick our battles. Given the kitchen was in good condition and relatively neutral we opted to simply freshen it up with a few basic changes. We replaced the carpet with plank sheet vinyl, painted the backsplash tiles white, added handles to the cabinet doors, changed the taps, painted the pantry door, painted the rear of the peninsula, and added a floating shelf to give purpose to the rear wall. The large fridge nook was tricky. I thought it would have been cool to take up the space with side-by-side fridges – though where was I going to get matching ones from? Then I had the idea of centering the fridge and flanking it with little shelves ($15 each from Kmart). This was an easy fix which works well to make the unorthodox cavity seem intentional. I wanted to add little feet to the cabinets to bring them up to fridge height, then maybe a shelf along the top, though we ran out of time. It’s hard to see in the pic, though I’ve placed some simple white ceramicware in the little cubbies. Of course, it would have been great if we’d had the opportunity to paint the cabinet doors and maybe add some moulding to them, change the countertops and install some hanging pendants over the peninsula. I even wanted to paint the fridge pastel blue and install a faux rangehood! If the house was closer all these extra jobs would have been more achievable in little bursts here and there. As things stood, we accomplished as much as possible in the limited weekends we could afford. Trust me, they were very BUSY weekends! 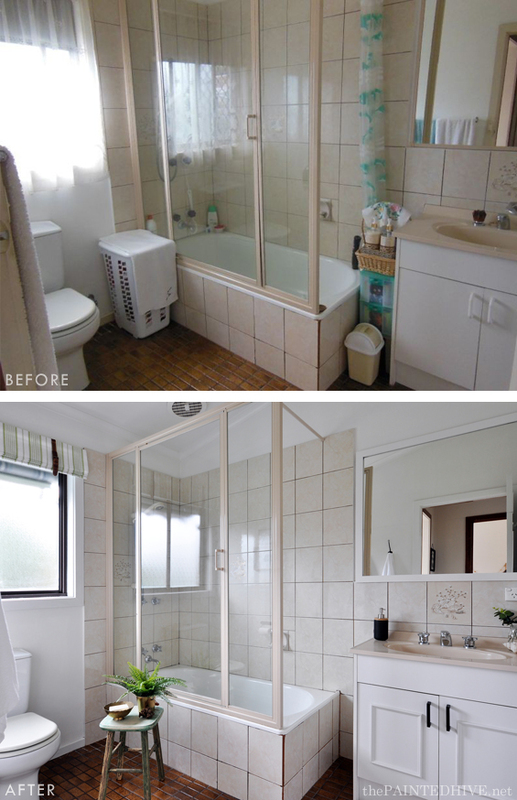 Although the bathroom, like the kitchen, could have benefited from a full renovation that was beyond our scope of works, and, like the kitchen, it was in good condition. So, to neaten things up we painted the walls and ceiling (unlike the remainder of the first floor it did need a fresh coat of paint), changed the taps, framed the wall mirror with some trim, added moulding to and painted the vanity doors, changed the vanity door handles, installed a new toilet roll holder and some towel hooks, then dressed the space minimally. The faux roman blind my mum made, complete with leather loops (which are actually re-purposed handbag straps!) is my favourite. 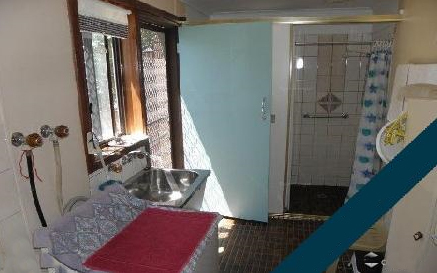 Time and budget permitting I probably would have also painted the wall tiles, clad the floor with something (maybe peel-and-stick planks), replaced the shower screen (or painted the existing frame black) and painted or replaced the basin. Nothing too extravagant, just a few simple additional updates to modernise things. Thankfully the paint and floor coverings throughout the remainder of the first floor were relatively neutral and in good condition so we could simply concentrated on dressing things up as best we could. 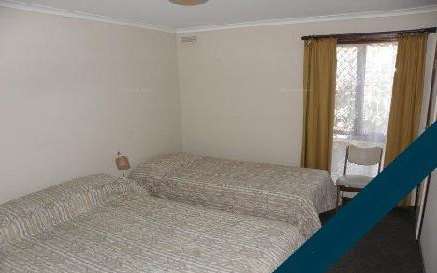 The three bedrooms are nothing special. We used what we had, adding in a few new inexpensive items here and there, to make them more appealing. The master bedroom got a statement light fitting ($40 from eBay), sheer curtains ($30 from IKEA), new side tables and lamps ($15 each from Kmart), two end of bed ottomans ($15 each from Kmart) and an accent rug ($28 on sale from Target). 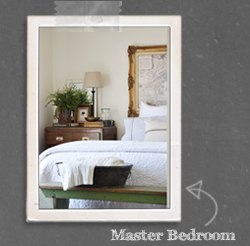 The artwork and most of the bedding we already had and the bedhead was a super easy DIY. 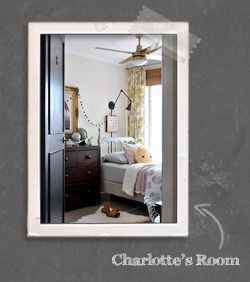 We decided to turn the smallest bedroom (which was previously gran’s home office/weird guest bedroom) into a sweet little girl’s room. We installed a canopy ($12 from eBay), painted a side table we already owned, created a light fixture from a mesh bowl ($8 from Kmart), made a simple bamboo ladder to hold books and printed some downloadable art to fill a few thrifted frames. The rug, stool and decor was found when we shopped the house and most of the bedding we already had. The third upstairs bedroom is quite basic. 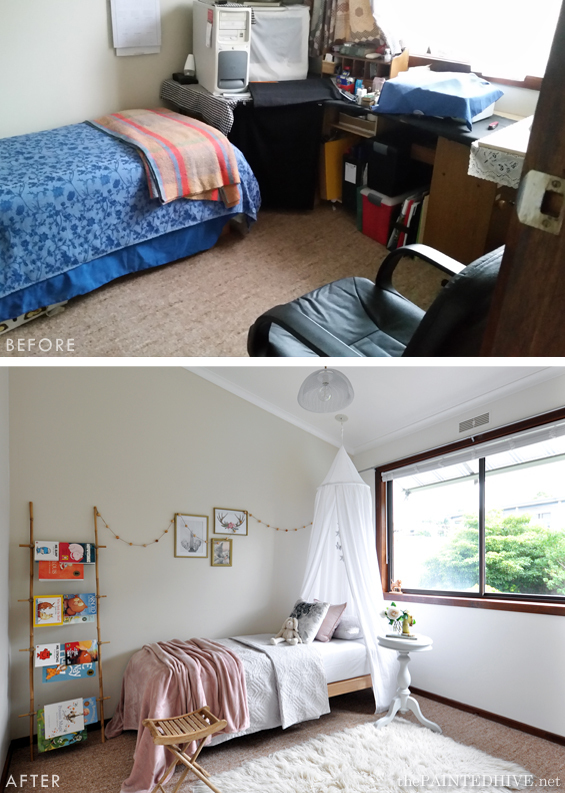 We re-orientated it to make it appear more spacious, re-purposed another bowl to form the light fixture ($6 from Kmart), hung some new simple curtains ($20 on sale from Spotlight) and added a side table ($25 from Kmart). The large wall chart and bedding we already owned (the beds themselves are the same too – you just can’t see the frames in the before pic). 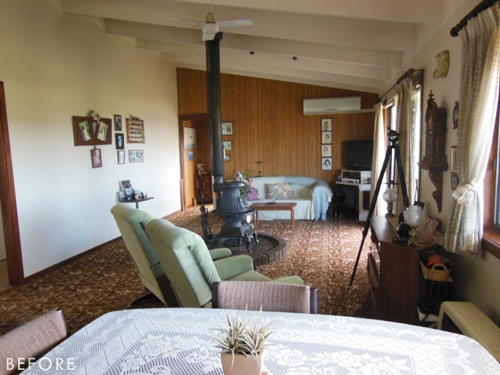 There is also a cane chair (just in shot) and small desk on one wall which gran already had. Note: Little details can make a difference. Use attractive light bulbs if they are visible in your fixtures. We replaced all of gran’s ugly curly bulbs with pretty round edison ones. The ground floor is actually fully self-contained. 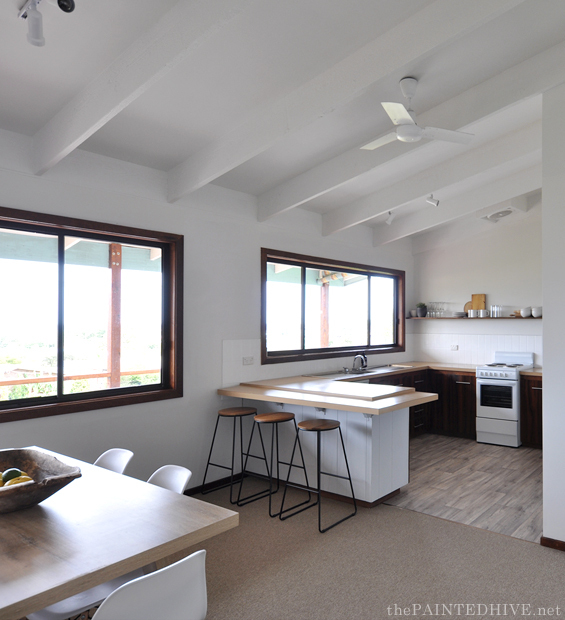 It includes an open-plan living/dining/kitchen, a bathroom/laundry and a bedroom. So, although it’s attached to the main house and can be used in conjunction with it, it could also be reserved for guests, or used as an income suite or holiday rental (which is pretty cool). By the time we got to this area, we were pretty much out of time, energy and decor. 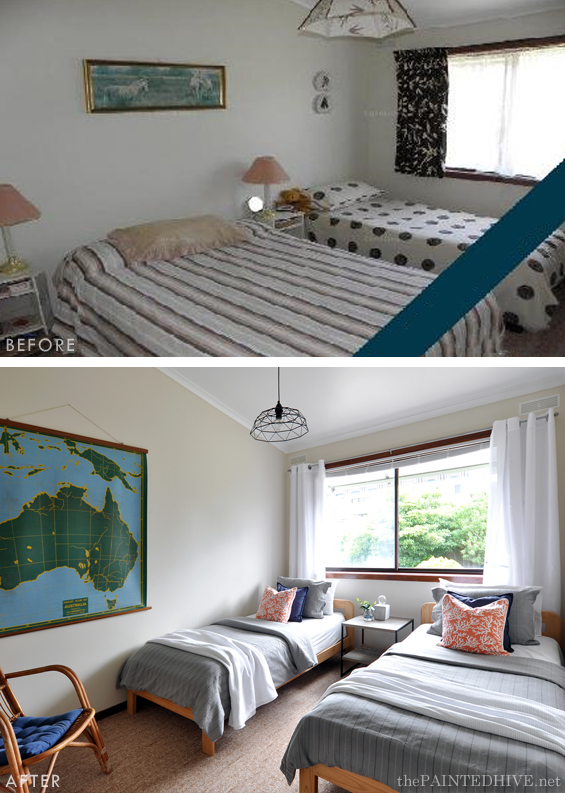 It would have been great to change the fluro light fittings and paint the peach walls though that wasn’t going to happen – remember, our battles needed to be thoughtfully picked. One major thing we did decide to do was replace the flooring. 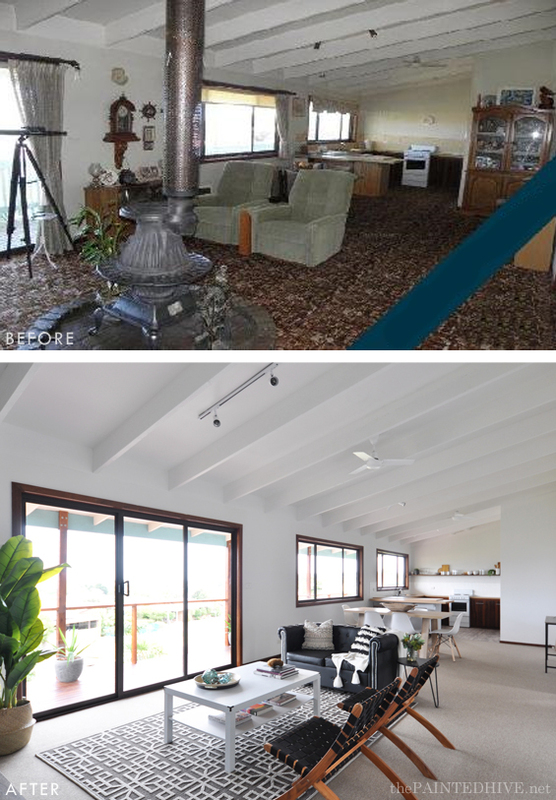 You can’t see it in the before photos, though the original carpet didn’t actually extend to the walls! There was a two inch gap around the entire perimeter where you could see the concrete sub-floor (thanks to some dodgy DIY). 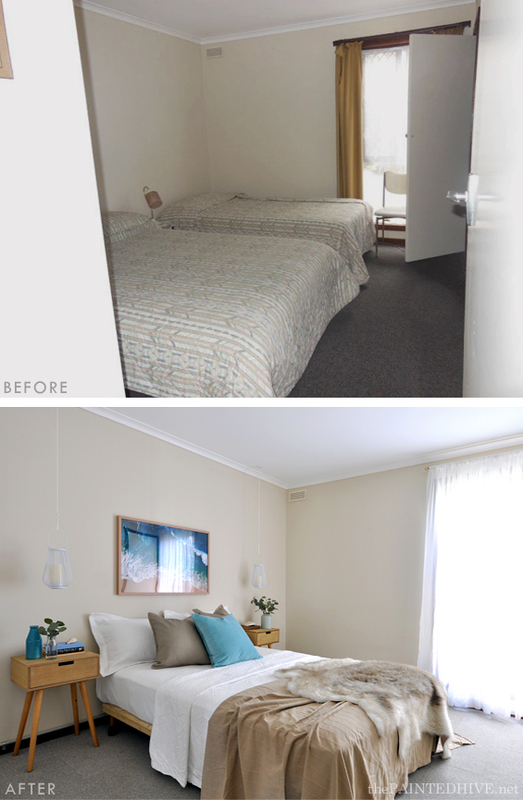 We sourced some inexpensive second-hand floor tiles ($330 total) to re-cover the living space and bedroom. Laying these was somewhat fiddly though easy enough. For the dining and kitchen area, we installed new vinyl planks ($500). To create a focal point my aunt donated her old free-standing fuel burning fireplace for which mum and I built a simple surround using scrap timber – we were super proud of ourselves (if you want to create a similar focal point, you don’t need a working fireplace, a salvaged mantel filled with candles or branches or a large plant works a treat too). The bulky old couch and armchairs were donated and replaced with a cane setting I found on the side of the road (I couldn’t believe my luck – took a different route home from school one day and there they were with a ‘FREE’ sign on them!). The coffee table is actually the original dining table (as can be seen in the before pics) which I trimmed down. 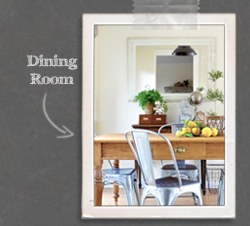 We kept the existing dining chairs and added a new rectangular table which suits the space better. The plastic kitchen pulls were replaced with new black metal ones and some simple sea fan prints give the broken wall a sense of continuity. The fridge was moved to beside the pantry and the lower portion of gran’s buffet (which was originally upstairs) now acts as a dining room sideboard. As mentioned above, we were running low on decor at this point so did the best with what we had. It’s not perfect, and far from how I would ordinarily style a space, though it’s fine. The downstairs bedroom was very last minute however I’m really happy with how it came together. A sheer curtain (left-over from the master bedroom upstairs) adds a touch of softness and I just love the bedside lights. I wanted to do something interesting in this room to create a point of difference. Of course, installing hanging pendants was out of the question so instead I found these candle holders ($10 each on clearance from Bunnings) then attached them to the ceiling with some hooks and cord. Although they aren’t wired they hold remote operated battery candles so they do actually work as a light source! The bedside tables are from Kmart ($29 each) and the artwork was a free download I printed and framed. Most of the bedding and decor we already had. 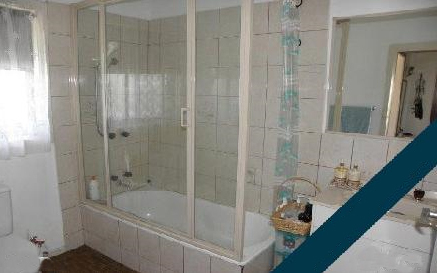 The final room is the unusual ‘wet room’, as we call it. 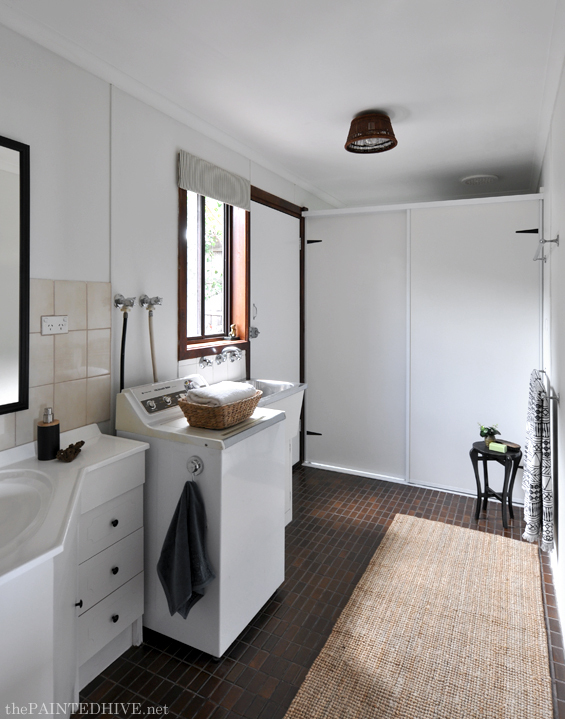 It encompasses a little vanity, a laundry area, and a toilet and shower concealed behind sliding doors. Like I said, it’s unusual. This room did get a fresh coat of paint (“Natural White” as per the upstairs living space). We also needed to replace the original sliding doors and tracks which were falling apart. I wanted to DIY this though at gran’s house we just didn’t have the right tools (or enough time) so we had them professionally installed ($600 – could easily have done it for half the price ourselves). I added some strap hinges to dress them up a bit. We painted the vanity, replaced the knobs and taps, hung a salvaged mirror (this is nice and long to extend down over the backsplash and cover the one dated patterned tile in the room! ), installed a new shower curtain, added a basket shade to the ceiling light and framed an old pillowcase to act as wall art. An IKEA runner rug, some modern towels and a few decor accents help detract from the negatives and create a sense of comfort. And so concludes the longest blog post in the history of blog posts! Phew! 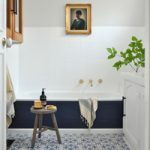 Whether you’re selling a house, buying a house, or looking to improve your existing house, there are lots of easy and effective improvements you can make on a budget. As I mentioned at the beginning of this post, the main reason I was hesitant to share this refresh is because it doesn’t necessarily reflect my personal style or standards. Although it was fun to go for a different look, and liberating not to feel confined by having everything ‘just so’, I do wish I’d had a bit more time to finesse things. Oh well. Also, the photos I took were all shot for real estate purposes so they’re not composed or staged anywhere nearly as prettily (or magazine-y) as usual. Again, oh well. On the interior we spent $7,000 total – for EVERYTHING. There was an additional $13,000 spent on the exterior which can be mainly attributed to replacing a large deck (the existing one was dangerously weathered). So, all up we spent $20,000. 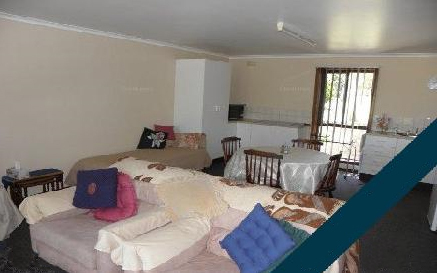 Four months ago, prior to the revamp, we had the property valued by two agents. One quoted $260,000, the other $280,000. Two weeks ago, with the refresh complete, we were quoted $359,000! I honestly thought the agent had got his numbers mixed up! That’s a profit of around $70,000. Not bad, huh? It was never our intention to greatly improve the value of the house. 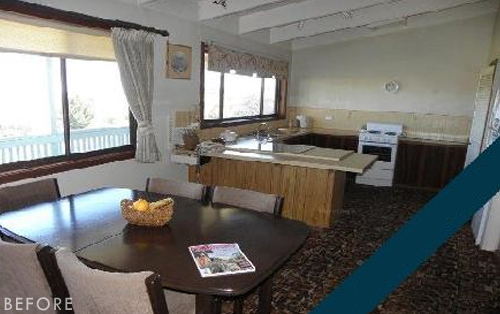 Our prerogative was simply to make it appealing for a quick sale, so the jump in price has been a major bonus! Of course, the best thing is that gran is just thrilled. I can’t stress enough how vital this step is. And how transformative and inspiring it can be! 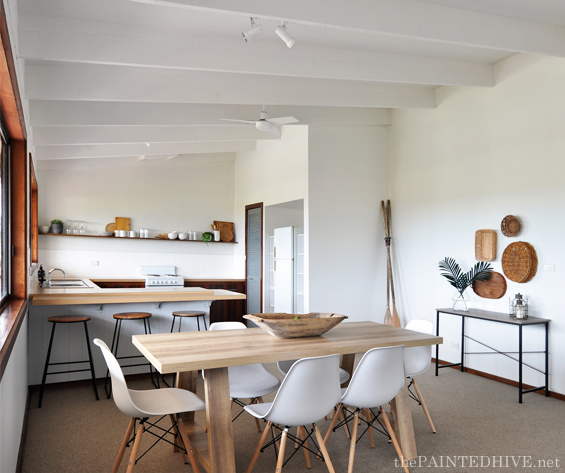 For me, de-cluttering involves taking a room back to its bare bones, creating a blank canvas to freshly build upon. This means removing all free-standing items along with any fixtures (of course, for practicality purposes any pieces which you intend to keep can stay though I like to clear as much as possible). Light fixtures, window dressings, furniture, decor, hardware, even floor coverings or built-in cabinetry if you intend to replace them, should be removed. Up-cycle, re-purpose, sell or donate whatever you can. Sometimes it’s difficult to imagine what a room can be. 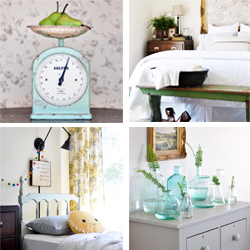 De-cluttering helps provide the mental and visual clarity to capitalise on its potential. It’s not always viable to undertake a complete renovation which is when tackling the right projects becomes super important. Whether you’re preparing a house for sale or refreshing your own home, creating a neat and clean environment should be priority one. Repair, replace or remove anything which is broken, damaged, or just looks plain untidy, then concentrate on renewing the most dated (or hideous!) features. 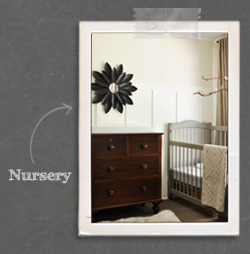 If your budget won’t stretch to refurbishing the entire house, choose a focus area to completely transform. This will provide impact, leave a strong impression and hint at the home’s on-going potential. Sometimes, when you scatter little projects about here and there, the effect can be lost. I know this is a big no-no ordinarily, though if you’re selling there is a place for it. You may well use them everyday, though removing, hiding or reconfiguring items like bulky or excess furniture, ugly security screens, IT/AV equipment (and their visible cords), small appliances and window dressings can make your home feel bigger, cleaner and more spacious. In short, it can look much more appealing. 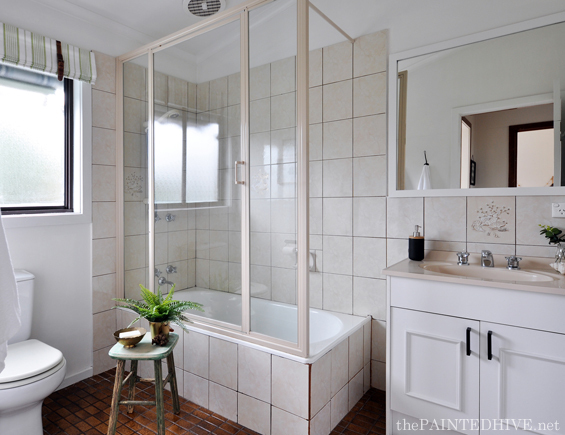 If you don’t have the ability to undertake a full renovation, leaving some areas untouched isn’t always a bad thing. Many buyers like having an excuse to add their own touch. 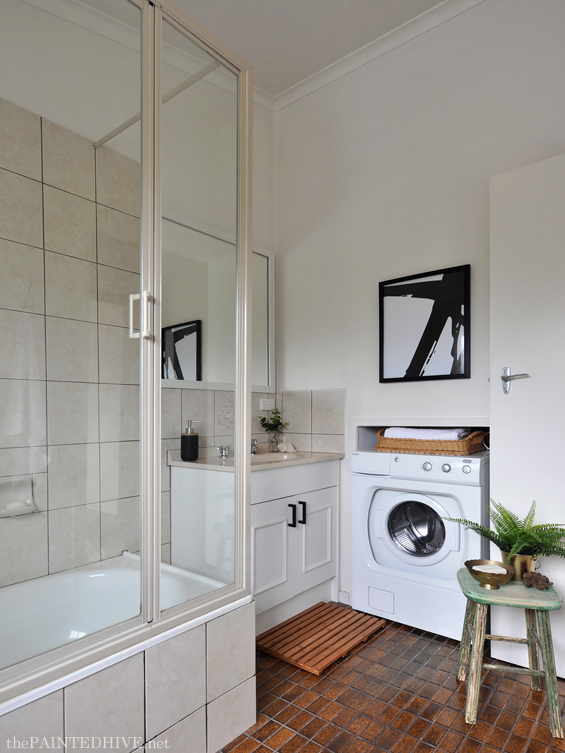 Of course, always ensure each space is neat, clean and liveable though. Although it might be tempting to clear your house for sale, thoughtfully dressed homes always present better. It may seem like an empty house will feel more spacious and move-in-ready, however furniture actually helps provide scale, making rooms (especially small ones) appear larger. It also gives purpose to spaces which people may otherwise not have been able to envision. Done well, dressing will make a house sing, working to highlight all the good features whilst diminishing the bad! But where do all of these ‘dressing’ items come from? Of course, you don’t want to spend a small fortune on furniture and decor you technically don’t need, and hire companies can be incredibly expensive. Use as much of what you already have as possible, up-cycling or re-purposing as needed. Shop second-hand, keep an eye on the curb or buy from discount stores. 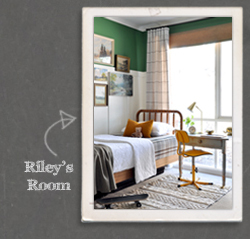 Focus on scale, lay-out and colour to ensure rooms feel spacious, fresh and unified. If you’re unsure what to do with the pieces you’ve acquired, considering selling furnished (that’s what we’ve decided to do). This is especially attractive to buyers looking for income properties or holiday homes. You want any prospective buyers to be able to envisage a home as ‘theirs’. So, whilst it can be tempting to appease your own design sensibilities, try to keep things relatively neutral and on-trend to appeal to a wide audience. This may mean putting your personal taste aside. 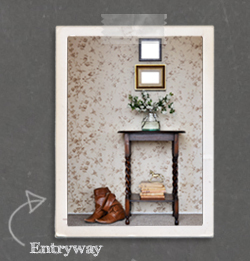 That said, it is still important to create a sense of homeyness, so try doing this by using different textures, inviting colours, earthy elements, interesting wall art, books and generic personal items. Of course, certain jobs require a professional, though tradespeople can swallow up huge chunks of your budget. Wherever possible, DIY and avoid engaging trades. When you absolutely need to use a tradesperson, keep things as quick, concise and minimal as possible. Of course, I realise this sadly isn’t always in your control. So, what are your thoughts? Is this the type of ‘real life’ revamp you’d like to see more of? Or were you completely underwhelmed? Feel free to leave your honest feedback – I can totally take it and will completely understand. Given there are sooooo many different little projects, I haven’t provided in-depth details for everything. Please ask if you’d like more info about anything in particular. So, this is what I’ve been up to for the past several weeks. Sorry I’ve been absent. Hopefully I’ll be able to get back into the regular swing of things now. The house is now sold! Learn more HERE. You never fail to disappoint or underwhelm Kristine. I get this isn’t something that Home Beautiful might share though that’s what’s SO GOOD about it! Your posts are always incredibly considered, relatable, well-written and inspiring with a good dash of lovely. I especially like your honesty and the little tid-bits, like how the security screens made such a difference and how you cut down the old dining table to make a perfect coffee table.Never stop doing what you do. That was truly awesome. Very inspiring and achievable! But looked so good!!!! Thanks for being brave and sharing. I love reading how you have used cheap, affordable items that I might be able to manage! Nothing trivial about this Kristine. 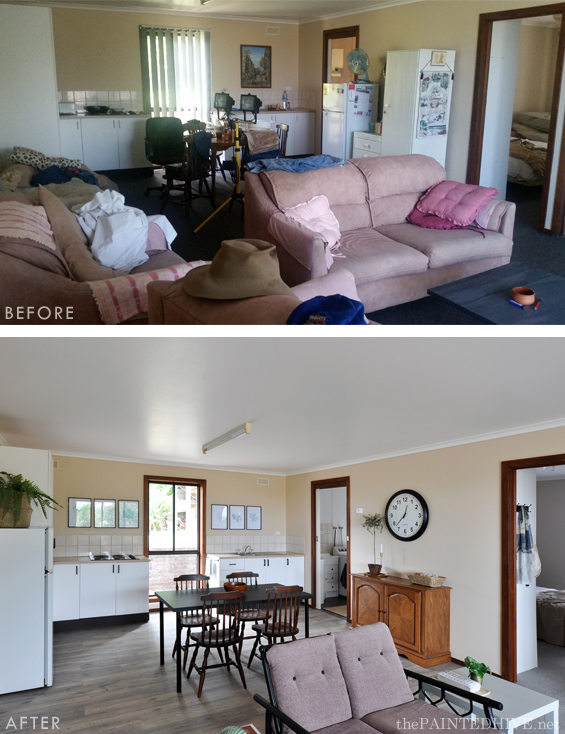 It is not only beautifully done and an amazing transformation on a budget but is a story of a family coming together and working incredibly hard to help an older family member with love. I love everything about this post! Wonderful inspiring transformations. It’s all about balancing looks with pracability. I always recommend at least a two and a half seater sofa. A two seater puts people too close. Chairs of a different style are preferable but they must have arms! If you give visitors and family members a choice of seat they will always go to ones with arms. As I enter this comment on my iPad i’m in an arm chair. I got up and went to find an armless chair to sit at while continuing this but I’m finding it too awkward. The number one thing most people can do to instantly transform their space is to ditch the dated clutter! 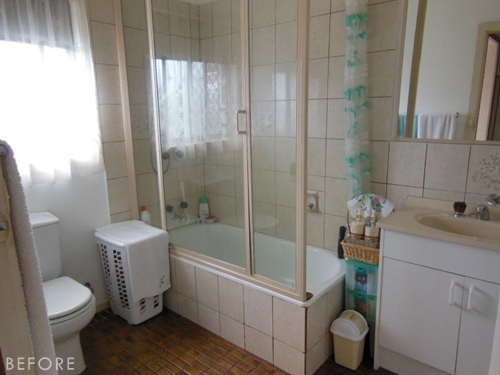 I completely agree that ordinarily form should follow function (this is even mentioned in my tips section), however this is a vacant house which has been staged purely for sale. 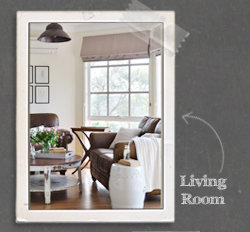 We simply used the most affordable items we could acquire to make the rooms look spacious and stylish. Aim achieved. Attractive light and spacious room. Actually quite like the chairs. I think you did a fantastic job. Don’t apologize – for the time and money you spent the place looks amazing. Hope you get full price! range of people and I, for one, am really grateful. Your decision to change the flooring seems to me a very wise choice. 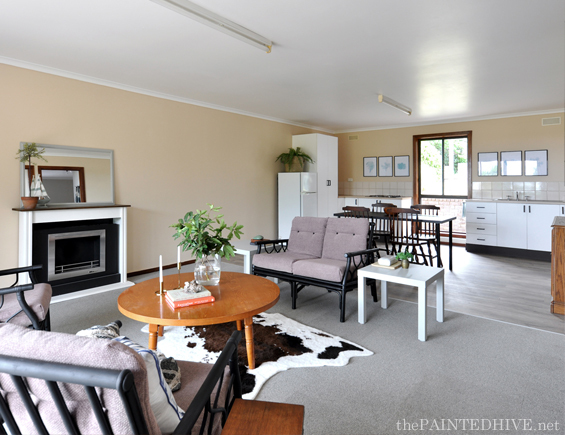 We stayed in an “authentically retro” property whilst touring NZ and, whilst the furniture and fitting had a certain style and charm, the hit of “dirty, wet dog” from the elderly carpet was instantaneous and very unpleasant. It’s an important prompt to remember all the senses when making over a property. Brilliant, Kristine! Thanks so much for spending the time to put this post together. 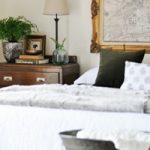 I think it is so valuable to those who may not have the budget for all the beautiful Pinterest homes we drool over, but you have made it look stunning and totally doable. Well done! I would totally love to see more posts like this! Awesome transformation on the budget! And very inspiring too. 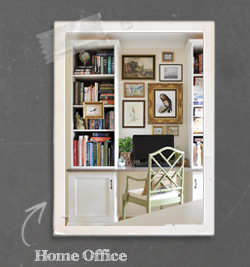 I am an apartment therapy, (with all the blogs it leads me to) junkie. I’m always inspired by how people create not just livable but lovable spaces no matter who they are – designers, decorators or just folks – out of some pretty wacky and unappealing spaces. But I want to say that this post is one of the best I’ve ever read. It is so honest and real, clever and creative. I get that it doesn’t reflect what you’d do for yourself or what your long term solutions might be for your gran’s space. But you’ve transformed an uninviting, depressing space that clearly overwhelmed potential buyers for years, into an inviting, bright, open, warm home that not only improved the space but better highlights the home’s potential for buyers. You and your participating family members managed to solve a helluva lot of problems for a new owner while leaving enough for them to sort out and put their own taste and ingenuity into without feeling massively paralyzed by the monumentality of the project load:-)! Plus, for many who rent (I live in Brooklyn, NY where tiny, expensive apartments are the norm and even the lovely old ones, have most often been renovated with cheap materials, shoddy labor, and a senseless, what-the-heck-could-they possibly-have-been-thinking design sense that turns your brain inside out for days. What you’ve posted here is so rational, so clear, so constructive yet also inspiring for those of us faced with some pretty gawd awful rentals! Your creativity supported by such down to earth pragmatism always inspires me. Thank you for that! Thanks Chris. Yes, Kmart here in Oz is rocking it at the moment! I love this post! I’ve been involved in preparing a couple of family members’ homes for sale as they move into smaller places and know what a fine line you were walking between modernizing and respecting your grandmother’s feelings. I think you did a great job showing how, in cases such as this, good enough is, well, good enough! 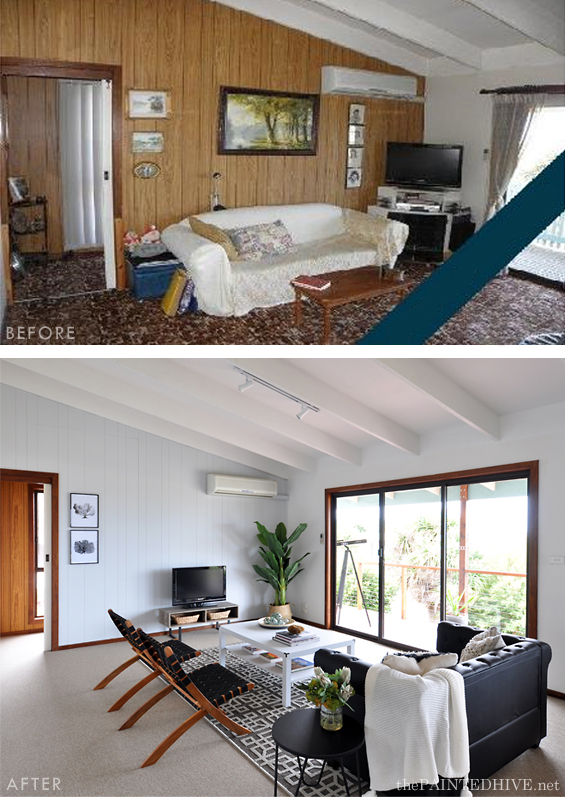 All I can say is WOW WOW WOW….this is amazing…what an incredible transformation and the way you have styled and decorated is nothing short of fantastic…..do not feel like you can’t show how these things are done…it’s very inspirational for sure and loved looking through this post. What a fantastic inspiring job!! As usual!!! I was mesmerized look at your before and after pictures.! Awesome job! And great ideas and tips, as well. This is the way I decorate on a budget. Then you get the look without the price. Clever and inspiring…well done! Really interesting to read your thought processes and planning and then see the finished room. I thoroughly enjoyed reading about your Nan’s home and it’s update. Congratulations on a great job! You are insanely talented. Fantastic post. Brava Kristine (and assistants)! Yes, more please. More of your lovely design sensibilities. More gritty details of how you got there. I, for one, don’t need perfect. I much prefer the realities of how to get “there” from “here” and all the compromises in between. I’m so happy you shared this, you did an amazing makeover! 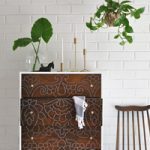 What an encouragement this post will be to people with a limited budget who want to improve their living space, but aren’t sure where to start. This is proof of how, even on a relatively low budget, a great taste makes things look gorgeous and high end. But as someone else said you are insanely talented, and I agree. Just like Callie this is one of the best remakes I have ever seen – and read. It isn’t just that everything looks amazing, that there are great ideas, creative uses of not very much money or no money at all, it’s that you and your Mum, and your Aunt worked together to remodel a place for the best of reasons. I’ve been there, and I know only too well the pressure you must have been under. The results are staggeringly good. I really don’t understand how you could have hesitated to publish, apart from the fact that it must have taken hours to write up. 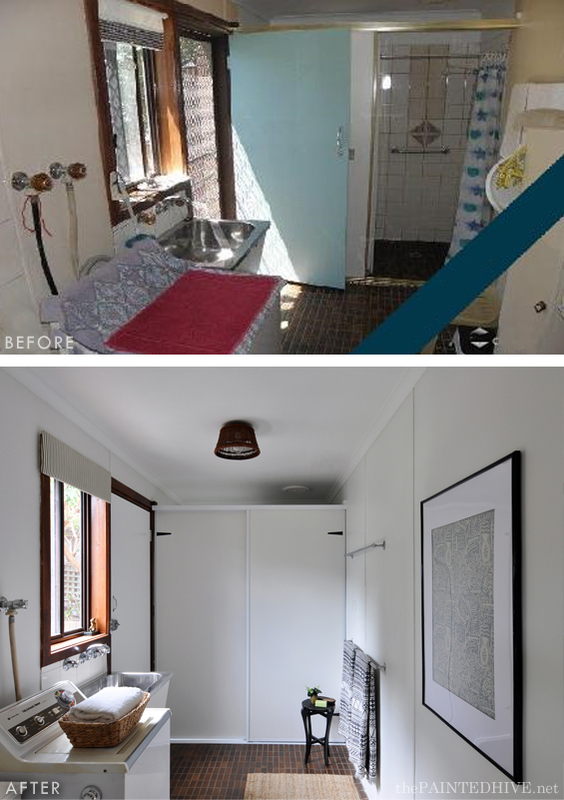 It’s one of the most inspiring and beautiful remodels I have ever read and I too am an Apartment Therapy tragic. 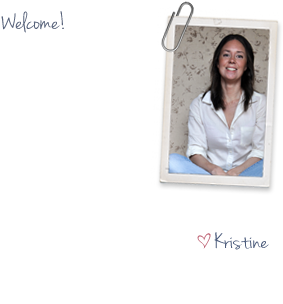 Kristine – you are amazing. Thank you so much. Yes, maybe I was just daunted by having to condense everything we had done into some kind of sensical article! I appreciate your comment and am so glad you liked the post. As always, you are AMAZING! I learned so much from this post. I love what you did with the space; It looks so current and appealing. You are a teacher at the core of your being. Thank you for sharing your knowledge and gift with the world. This was amazing and inspiring to see. Great job. This was a wonderful post, and well timed for me! We just moved (10 miles) and are prepping the old house for sale. Since we are older and lack DIY skills and time, we have a wonderful contractor who does work for us. We weren’t able to leave furniture to dress the house, but I agree with you if its importance! Your post was a real struggle many of us have. I applaud you and would like to see more! Truly AMAZING! I am so glad you shared this. This is real life and that is what makes it so interesting. You did a great job and gave me a lot of ideas. Thank you! What a wonderful gift your family has performed here. Super job! OH.MY.GOSH!!!!!! What an incredible job you all did… I can’t get over it. Just incredible! I love what you did, with a limited time frame and a limited budget! Hope your Granny enjoys living in the new age care facility. The new owners of your granny’s home will appreciate what you did to it! My favorite post of yours! Love all the practical advice. This post is something everyone can relate to and at some point in time will need/want to do. Thanks for all your hard work and for documenting it for us to see. Loved this! We are doing the same thing with my mil’s house to rent it out. I’m going to refer to this post a lot during our process. Thank you! Wow, wow, wow! Absolutely incredible transformation! Well done! And, I really loved the ‘before & after’ pictures posted right beside each other. First time commenter! In the era of, “I got this awesome light fixture donated but it’s on sale for only $400 and 10% off with my affiliate link!,” blogging, a post about working with what you have and a tight budget and timeline is SO appreciated. Most of us in the real world don’t change out serviceable items and fixtures, have massive budgets, or simply want attractive spaces without the luxury of making our costs back on “content.” We have other things to spend our money on out here. Anyhow, thanks for this. So much of it is relevant to everday living, not just a flip. The house looks great. And good luck; hope it sells in a flash! Amen to this! I don’t read a lot of blogs anymore because they are no longer relate able. You did a beautiful job!!!! While magazine worthy photos are lovely to look at they are not very practical for the average homeowner on a budget. Love seeing what can be done on a tight budget. Thanks for sharing this post. This exactly. I like that this is real, achievable for those on a super tight budget and you’re not selling anything. It’s so overwhelming to look at what you’ve got, have no clue where to start and then google only to be smacked in the face with the apparent reality that the budget you were hoping to use won’t even buy you a light shade! This makes me feel like we regular people with medium to small budgets can still make a difference in our homes or even, flip something if we get a grasp of styling. This is a brilliant, real world people post (not a politician style out of touch from the little guys post ;) ) and I thank you for it! I am so glad you posted this. I was thoroughly inspired by all you did. Many of us can relate to “what to do with Grandma’s house.” You gave us so many practical ideas about what to address and what to let go. It looks amazing. I am interested in hearing where you got the free downloadable print in the lower level (looks like a sandy beach with waves). If you could share, I would be very grateful. I should add, there are lots of others if you’re happy to browse. What an incredible transformation! You did an excellent job with such a low budget, I am impressed! Don’t ever be afraid to share & post your hard work. You’re always going to have the negative naysayers. The best part of this hard work is knowing it paid off through your eyes & the appraisers eyes. That’s what matters as well as your supporters on here. Thank GOD you changed out that flooring. The walls & floors are what made this much more appealing! This was an amazing transformation. The home has completely changed by your touches! I love how it went from blah to wham! You did an awesome job! WELL DONE! There’s a career out there for one of you creative ladies who subscribe to Kristine’s posts! Could it be for me ;) God knows I need to start making money somehow – LOL! I think you’re really being way too hard on yourself! This was so helpful and insightful! 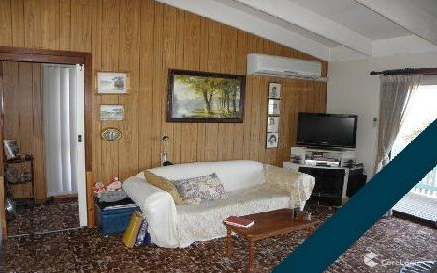 I am in the process of selling my Grandma’s home and I know it can be emotional and overwhelming. But this is beautiful and so creative! I hope it sells fast! Well done!!! I loved seeing the transformation. Feel free to do more posts like this. It feels refreshingly “real life”. I read every word and enjoyed all the before and after photos. I’m so glad you’ve achieved such a great profit from your efforts. It’s a wonderful home and you helped it to look it’s best on a limited budget. You had so many good ideas for anyone in a similar situation or financial place. Thank you for this post and for your honesty. Thank you for sharing this! Be brave always, no matter what the popular blogs that seem perfect all the time. Mix it up like this. You won’t be diluting your style. This speaks to reality and is so useful, in addition to your regular-style posts. I’ve been a designer for 35 years and started with projects for clients much like this. High-end projects with unlimited budgets are great, but I’ve always felt so satisfied when helping clients and friends make the most with what they have or limited budget. I REALLY enjoyed this post! Love everything you do! I wanted to add that even the bathroom now looks pretty and the kitchen looks so modern, even the dark wood fronts look like they were made on purpose, amazing! I know. Isn’t it funny? I thought the same thing once I took the photos. Fortunately the kitchen cabinets are in good condition so almost look new. Congratulations on completing what I am sure felt like a monumental task. I think you got the house just right for selling. 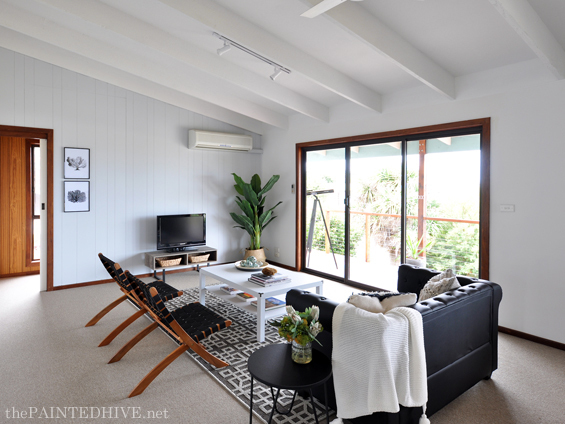 It looks open, inviting and potential buyers can see the potential of each room. Staging for selling is nothing like creating your own personal space and I think you nailed it. I hope it sells quickly for your gran and I am so glad you shared. This revamp shows what can be done for a lot more elbow grease than cash and that simple always works. Totally enjoyed this post!! I am actually quite impressed with what you all did, even though you kept apologizing throughout the post! This would be a great vacation property, and you really did a whole lot with a very little. Good luck for a great result in the market. P.S. All the best to Gran! Thank you Ellen. I need to get the ‘apology’ trigger under control – LOL! I think your makeover looks great! Sometimes we have work within the scope of purpose, budget and timeline and I think you maximized all of those and created a very appealing space. Good luck with the sell! O.M.G. $7000 on the interior??? You are magical. It is MUCH easier to buy a bunch of new stuff and tear things out than to do what you did here. 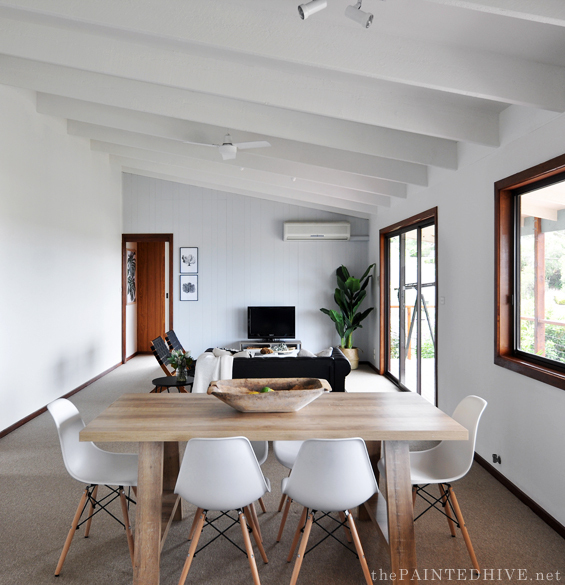 I wouldn’t have thought that one could do so little in terms of actual renovation to make a dated space like this so inviting! You are incredibly gifted (and I think also a very hard worker willing to get your hands dirty!) and your styling is like no other. Some of the pieces you used could have (and did) look dated before but the way you have styled made them look updated and relevant. You are hands down my favourite blogger and posts like this is why. Keep up the good work, very inspiring! Amazing and beautiful and all on a small budget. You give us all hope! I’m so glad you gave us the tour. It’s not my style either but love how it all came together with a limited budget and time restraints. It’s turned out beautifully!